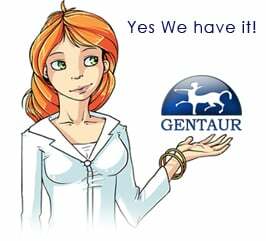 Gentaur antibody-antibodies.com The Marketplace for Antibodies : Heterogeneity of human serum amyloid A protein. Five different variants from one individual demonstrated by cDNA sequence analysis. Heterogeneity of human serum amyloid A protein. Five different variants from one individual demonstrated by cDNA sequence analysis. Serum amyloid A (SAA), a chemically polymorphic protein, is the most sensitive marker protein of the acute phase and the precursor of reactive amyloidosis, which is characterized by deposits of amyloid A protein (AA). We investigated the variability of the SAA gene family in one individual by sequencing 11 SAA-specific clones from an acute-phase-liver cDNA library. At least five different SAA variants were deduced from six different cDNAs. The 3' untranslated gene segments fall into two groups, based on nucleotide sequence and variability in length. Various nucleotide and amino acid substitutions were found predominantly in the 3' portion. Some of these substitutions are unique and increase the number of SAA variants in one individual to at least five. Moreover, genomic DNA of four individuals was examined by analysis of restriction-fragment length polymorphism. Besides two conserved strongly labelled bands, additional polymorphic bands were observed, indicating isotypic and/or allotypic SAA variations. Finally, three different mRNA species were detected by Northern-blot analysis, a finding that might be of relevance for the stability of SAA transcripts.